August 8th 2014 Juhan Aslat och Marja Skum leave the Ammarnäs church as husband and wife. They are both Laps and have large herds of Reindeer in the wilderness of Sweden and Norway. The wedding date was decided by the reindeers movements. The beginning of august was the only option. 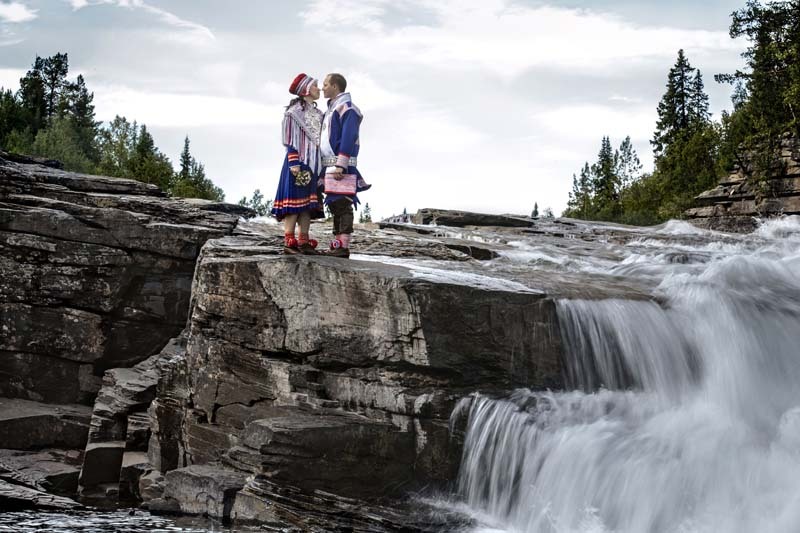 That the wedding picture was to be taken in traditional clothing next to the whirling water of the river Vindelälven was a given.